Ever since my 5-year old started expressing an interest in outer space, I feel like I’ve known more about stars, asteroids or comets than before having kids. We watch planet shows on Science channel, build spaceships with magnetic tiles and read tons of books. 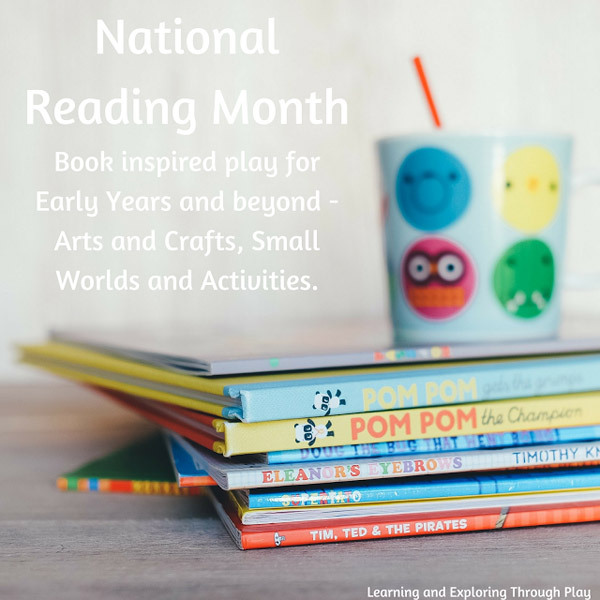 When Amy at Learning and Exploring through Play put together a series of book-inspired activities to celebrate National Reading Month, I knew we had to try a planet craft. And so we did. 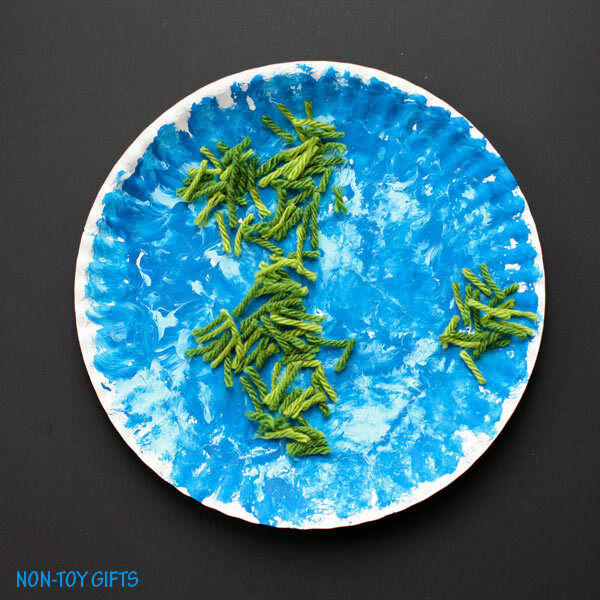 We came up with a yarn and paper plate Earth craft for kids. 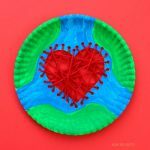 It doesn’t require much prep work, other than cutting tiny bits of yarn, and it’s really easy to make. 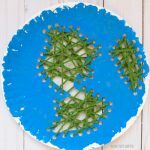 My preschooler needed no help and he really enjoyed creating his Earth. 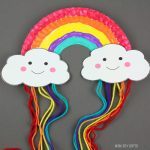 You can pair this craft with the book Hello, World! Solar System , for younger kids and Planets, for preschoolers and older kids. Use the same technique to create the rest of the planets in our solar system. 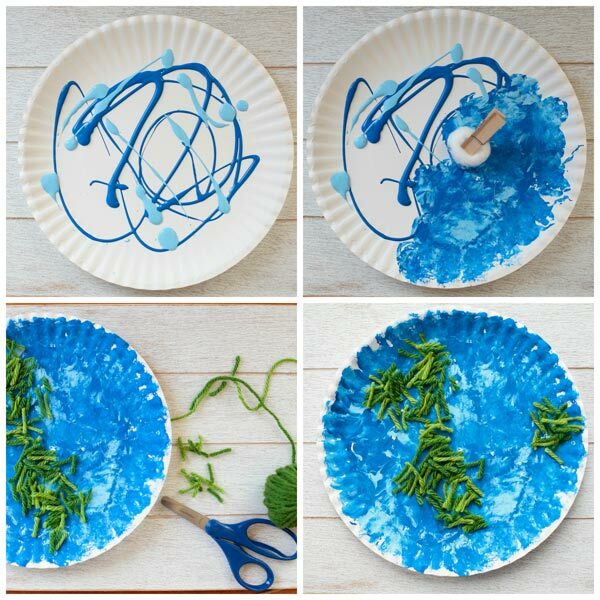 Step 1: Start by squeezing blue paint onto your paper plate. 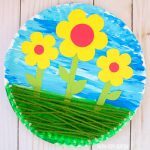 Step 2: Spread the paint over the paper plate by using a pom pom. 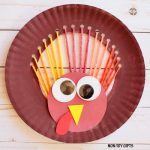 Grab the pom pom with a clothespin and use it as a handle. 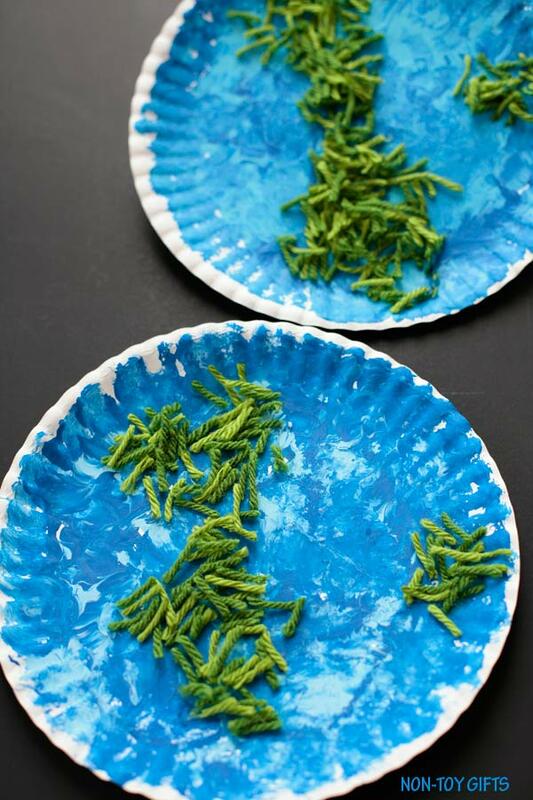 Step 3: While your kid is having fun coloring, cut green yarn in tiny bits and have it ready for the next step. 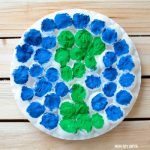 Step 4: Squirt glue on the paper plate to resemble the continents. Spread the yarn on top of the glue. Press a little, if necessary. 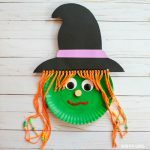 If you love book-inspired crafts as much as we do, make sure to click on the image below to see other fabulous crafts and activities as well as small worlds created by many talented bloggers.